It's time for more free books! This week's giveaway is Rapunzel from Bethan Woollvin. 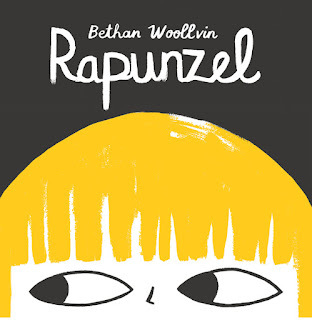 If you loved her New York Times Best Illustrated Little Red, this new twist on the classic fairy tale is a must read. Rapunzel is trapped in her tower by the wicked witch, but it doesn't take long for the fearless girl to take matters into her own hands.